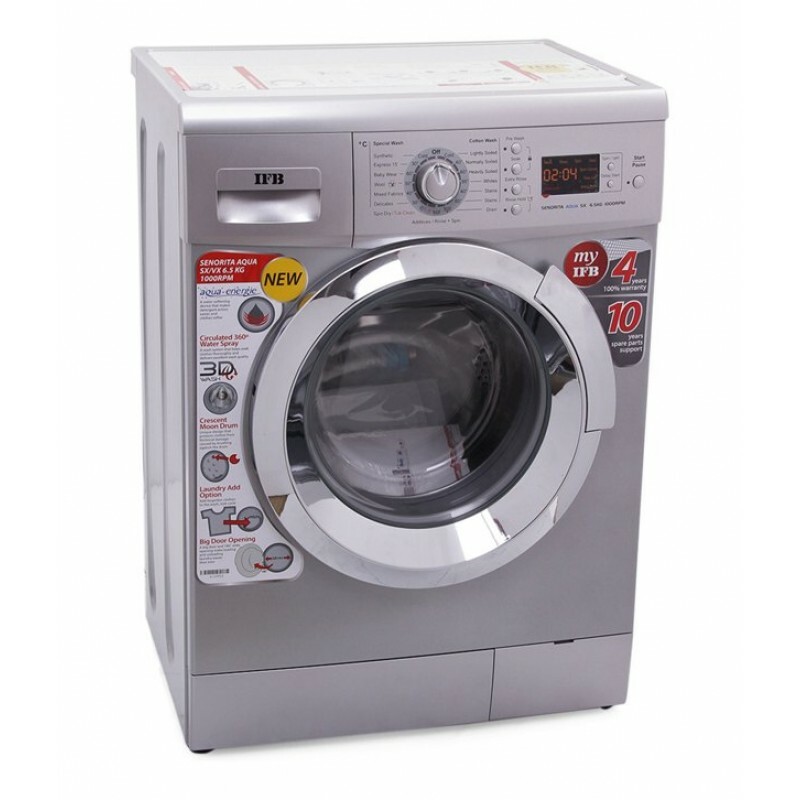 A fully-automatic front loading washing machine, IFB Senorita Aqua SX has a load capacity of 6.5 kg and offers a total of 100 wash programs. There is a specific wash program for most kinds of fabrics and stains. 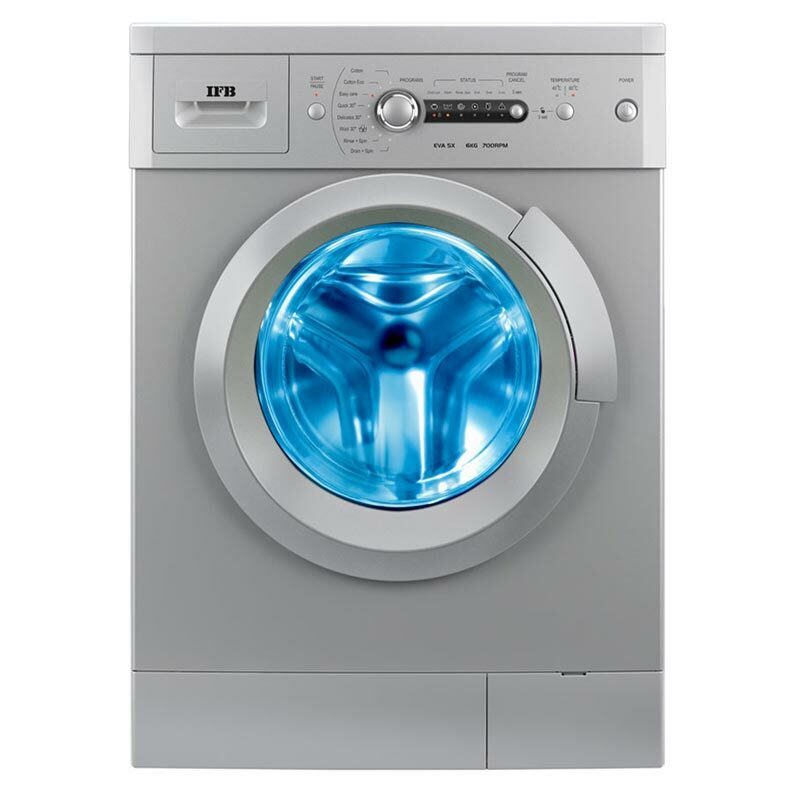 3 dimensional wash system: This washing machine uses a special water spray system with nozzles that creates a powerful 360 degree current in the drum. The stream flow dissolves all the detergent and during the rinse action draws out the all the dirt with the soap very effectively. The dynamic movement also forces the water penetration into the clothes to obtain a cleaner and richer wash.
Aqua-energie filter: No longer shall hard water be a matter of concern for this washing machine comes with a built-in aqua filter that does treat hard water. This filter works by breaking the bi-carbonates present in water and turns them into crystals. These crystals are so minute that they flow freely with the water and don't form any crust which could damage the clothes or the machine. By tackling hard water this technology makes the washing better by using only treated soft water. A crescent moon cast drum: There is a crescent moon shaped cast lined on the inner surface of the washing drum. This shape absorbs the hard hits during the tumble process and gives the clothes a deep but gentle wash. This design works by curving the water up in a swoosh pattern so that the clothes do not rub against the wall of the steel drum and get damaged. Foam control system: In order to maintain the quality of the wash, the IFB Senorita Aqua SX Fully-automatic Front-loading Washing Machine is equipped with a foam control system that identifies the generation of foam which, on reaching a desired density, starts getting diluted to enable a spill free wash.
Auto imbalance system: In case the load during a wash program gets unevenly distributed, the washing machine smartly redistributes it to balance itself out. The machine will automatically stop and start once it has regained its balance.